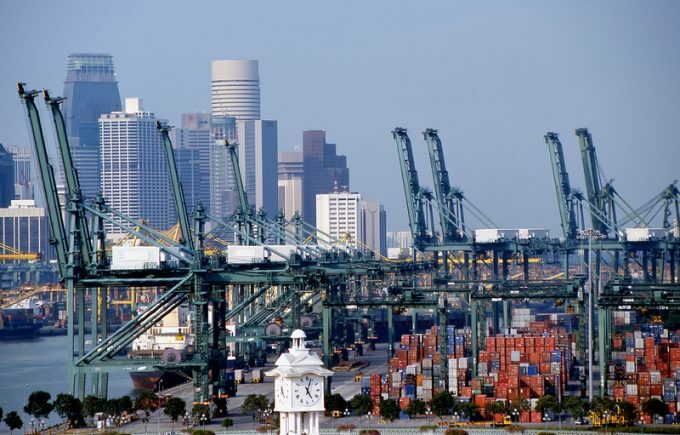 Singapore box terminal operator PSA handled 81m teu last year across its global network, growth of 9.1%, with international volumes increasingly dominating its throughput profile. Its flagship Singapore terminals saw growth of 8.9%, to reach 36.3m teu, while its international facilities handled 44.69m teu, an increase of 9.3%. Group chief executive Tan Chong Meng said, “2018 was a dual-speed year. The slow but steady pace of global container trade growth continued, despite geo-political shifts and rising trade barriers. “At the same time, there was a surge in digitalisation within the global supply chain, which promised better visibility and efficiency, while the industry continues to grapple with issues of data standardisation and collaboration. Late December saw the operator and consolidated Japanese container carrier Ocean Network Express (ONE) sign a deal to jointly develop a new box terminal at Singapore’s Pasir Panjang facility. The terminal is scheduled to commence operations in the first half of 2019 and operate four mega container berths with a combined annual handling capacity of 4m teu. Today Mr Tan promised PSA would also this year continue its digital investments, as well as “increasing its engagement with shippers and logistics service providers”. “We pledge our commitment to continue to serve our shipping line customers to the best of our abilities, even as we pursue win-win partnerships with cargo owners and movers, and stretch our capabilities as a team to propel us closer towards our vision of a truly connected and transformed global supply chain,” he said.